Pure's marketing director doesn't like to use the phrase 'Linux based device' instead of the old-fashioned 'radio'! 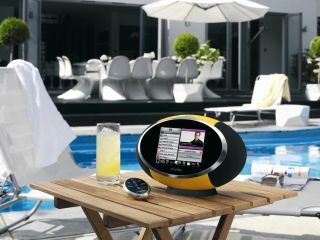 At the launch of Pure's new touchscreen digital and 'connected' Sensia radio earlier this month, the company's marketing director noted how he was reluctant to refer to the new product as a 'Linux device'. While the Sensia is clearly demonstrating the cutting edge of digital and internet radio tech, Pure's Marketing Director, Colin Crawford does not want to confuse their marketing message by talking about the fact that it is based on a Linux OS. PC Pro was quick to pick up on Crawford's comments, noting that: "It might be reliable enough to power their device, but it seems some companies are still a bit reluctant to use the 'L word' when talking about their products. "Speaking at the launch of the touchscreen Pure Sensia digital radio, director of marketing Colin Crawford was pressed for specifics of the new device's software. But after his CEO reminded him that the new radio was based on a Linux OS, Crawford remarked: 'I don't like the using the word "Linux" on a radio.'" Which in turn prompts the question over on Slashdot: "Of course the presence of (possibly embedded) Linux may not have any relevance to consumers in some products; but does the word itself carry a commercial stigma?" TechRadar asked Crawford the question directly, to which he responded: "The answer is that of course the fact that Linux is crucially important. It opens up all sorts of possibilities in the future, and has already enabled certain aspects of the development. We didn't choose to base it on Linux on a whim! "The reason I didn't want to go into it at the launch is because this is a consumer product and I didn't want tech journos focusing on something which would be completely irrelevant to consumers." Or, as one commenter on the Slashdot post noted, "if you say 'Powered by Linux' then the majority of people may as well have heard 'Powered by Snarblax' - they still have no idea what it means, but this time they know they don't know what it means, and that makes them feel stupid, and that makes them dislike whatever they associate with that stupid feeling."